The emergency can happen any time and it becomes frustrating when you get in a situation when you need immediate help and you don't get one. But here at Mr. 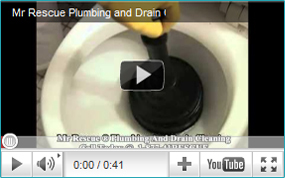 Rescue Plumbing & Drain Cleaning we have a team of highly expert and trained plumbers who can fix any water heater emergency in a quick and efficient way. If you get in that situation call the emergency plumbers at Mr. 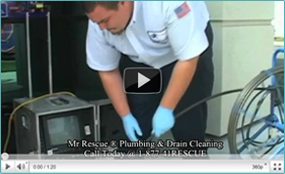 Rescue Plumbing & Drain Cleaning 24-Hours a Day 7 Days a Week. Mr. Rescue Plumbing & Drain Cleaning is the best and only place for all of your Residential - Commercial or Industrial water heater and Boiler needs. Whether it is a water heater repair, replacement or installation, our water heater experts are here to help you 24 hours a day 7 days a week and aim to assist you on the best way to repair or replace your water heater. At Mr. Rescue Plumbing & Drain Cleaning plumbers have knowledge about conventional gas or electric water heaters as well as newer Tankless water heaters technology. Just rely on Mr. Rescue Plumbing & Drain Cleaning and don't stress over water heater repairs, we will take all Water Heater problems off your back. Emergency Water Heater Installation: Mr. 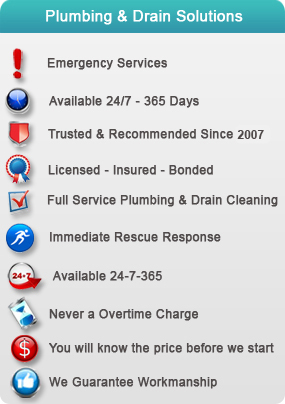 Rescue Plumbers are always available 24 hours a day 7 days a week for any emergency water heater installations. There is never a overtime charge for nights and weekends our water heater installers are only 40 minutes away just give us a phone call and a certified emergency water heater installer will be at your door. Tank Water Heater: A Tank Water Heater is also called Conventional water heater or tank water heater. Tank water heater stores water and the burner under the tank burns and heats the water in tank. When any faucet is turned on then water enters in the tank from inlet and pushes hot water out from outlet and delivers you hot water, but the drawback is that it don't deliver continuous hot water as it stores hot water to an extent. Another drawback is the tank leaks after the water heater reaches to the limit of the life of tank. 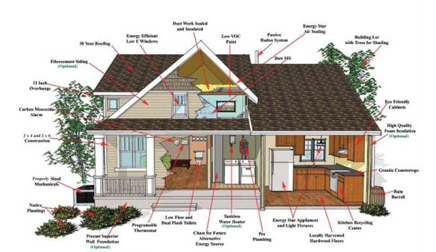 It takes more space and is not energy efficient. There is no state credit on tank water heater and it consumes more energy resulting in higher gas bill. The rate of heat loss is more in tank water heaters and tank water heaters usually leaks from tank. Tankless Water Heater: As name shows its water heater that doesn't have any tank it is also called on demand water heater. This water heater works when a tab or any fixture is turned on and stays on until the fixture is completely turned off. How tankless water heater works is when any fixture is turned on the cold water enters in the tankless water heater the flow sensor turns the burner under the heat exchanger usually the copper coils and when the water enters the hot coil it becomes hot and delivers you hot water. The biggest benefit of tankless water heater is that you will never run out of hot water because there is no storage tank. There is up to $1500 tax credit on selected models of tankless water heaters. As there is no tank so it never leaks. It has very minimum chances of heat loss. It comes in indoor and outdoor styles and saves you 80% space. Call your local Mr. 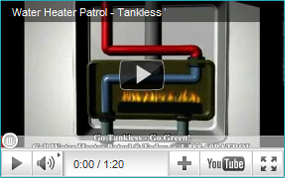 Rescue plumber today and ask about the benefits and TAX credit on tankless water heater. Using advanced Tankless water heater technology allows you to save 35 to 50% in energy expenses contrast to a conventional tank water heater, Go Tankless Today! Hybrid Water Heater: Hybrid water heater is the latest technology available today in heating a residential or commercial water heater needs. At Mr. Rescue Plumbing & Drain Cleaning we strive to keep our environment green & clean and to save our customers money. Hybrid water heaters use the combined technology of tank water heaters and tankless water heaters. Tank water heaters heat water from the bottom. This wastes a significant amount of heat by allowing air to flow through the tank and exit out the top. Tankless heaters heat from the bottom as well, with the water flowing through copper pipes. Hybrid water heaters, by contrast, include a reservoir that holds hot water so you won't run out. Different hybrid water heaters work in different ways; some have extra pipes to warm the water quickly and efficiently, and use new technology such as fuel cells to heat water using less energy. Hybrid water heaters are more cost effective then tank and tankless water heaters and are much more energy efficient and can save you huge gas bills than other water heaters. Boilers & Commercial Water Heater: Boiler or a commercial water heater are mostly used in Restaurants, hotels, dairies, Hospitals, Schools, Apartment Complex, Big Buildings, Business Complexes all require large amounts of hot water for CIP, cooking, and sterilization and many other needs. The minimum size of commercial water heater is 100 GAL and goes up. The Commercial water heaters come in both tank and tankless models. The commercial water heaters are designed and manufactured under high standers then compare to all other water heaters. The commercial water heaters heats water at temperature more than 180 Celsius. A water heater becomes a boiler when it operates on a temperature higher than ordinary water heaters. Any business related to hot water usage like restaurants, spas, saloons, schools, colleges, motels, hotels, condominiums, complexes, apartments and many other will never like any kind of interruption in their daily business and any delay or interruption in their service to valuable clients can result in loss of their clients so Mr. Rescue Plumbing & Drain Cleaning keeps your boilers and commercial hot water system up to date and will try make any repair with as much as low interruptions so we strive to rescue your water heater problems 24 hours a day 7 days a week. Brands of Water Heater: Mr. Rescue Plumbing & Drain Cleaning proudly carries all American brands of water heaters. Bradford White Corporation – Manufacturers Water heater and hot water storage tank Manufacturer. Bradford White produces High Quality, Residential and Commercial water heaters featuring the Hydrojet technology.